Mono Lake was extraordinary. Another endangered wild place, diversion of Mono Lake's water to Los Angeles was only halted at the end of the twentieth century. Mono Lake has some of the saltiest water anywhere. 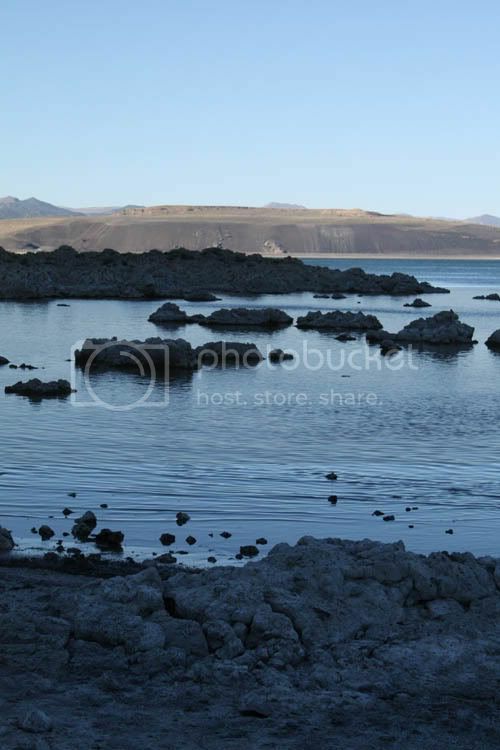 The ocean has a salt content of around 3%, Mono Lake is 10% salt, and the Dead Sea is 30%. Unlike the Dead Sea, life flourishes in Mono Lake; brine shrimp and alkali flies abound, and Mono Lake is one of the most important migratory stopover points for North and South American birds. Seagulls fly here from the Pacific coast to roost. 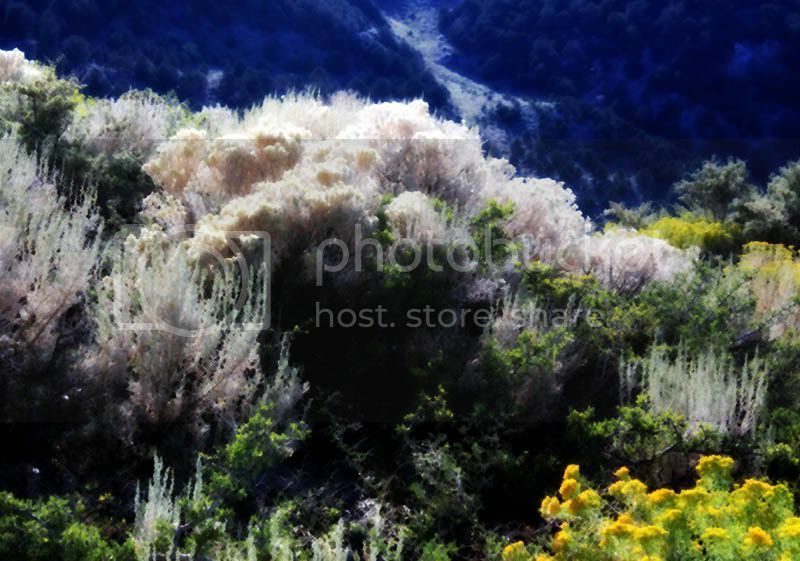 Mono Lake is in the middle of Sierra desert, but it is an oasis. 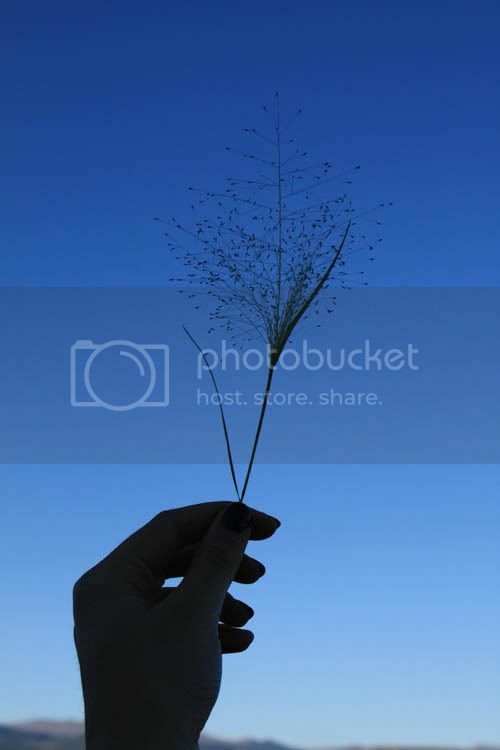 Here is an unusual grass seed. 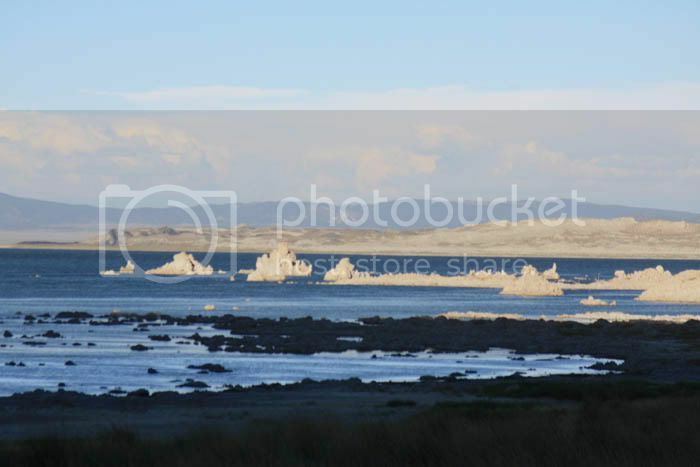 Tufa is precipitated into Mono Lake from underwater gas bubbling up from deep inside the Earth. It is formed from calcium carbonate, the same material that makes up sea shells. 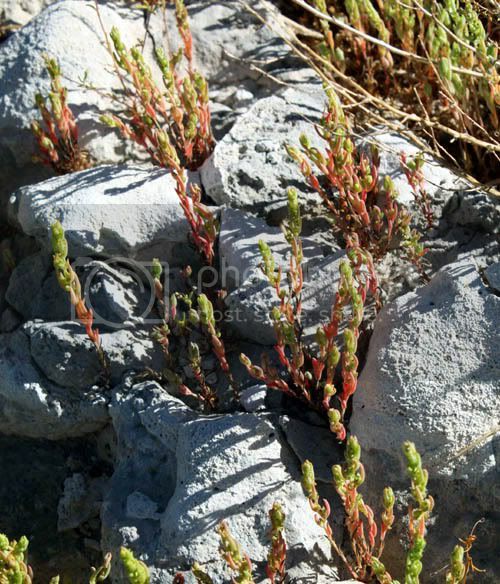 Below, are some alkali tolerant plants, growing amidst the tufa exposed when the water level went down. Some of the tufa towers are huge. 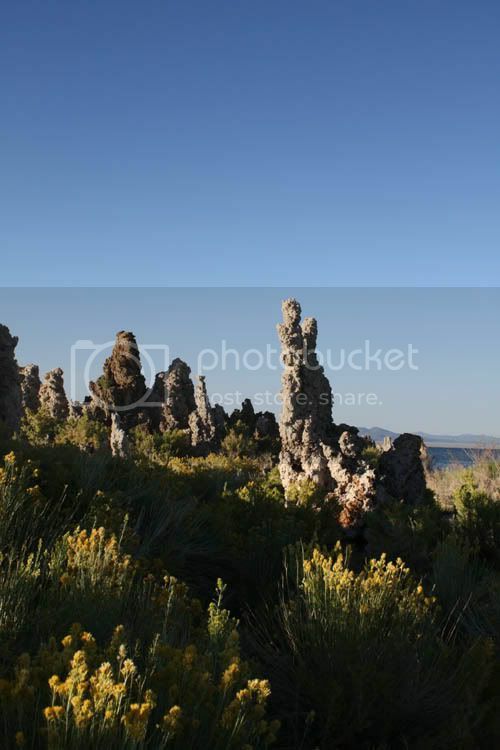 Tufa forms bizarre and intriguing shapes. The area is very volcanic. Heading away from the lake, we spotted a cinder cone surrounded by mountains of obsidian and pumice. 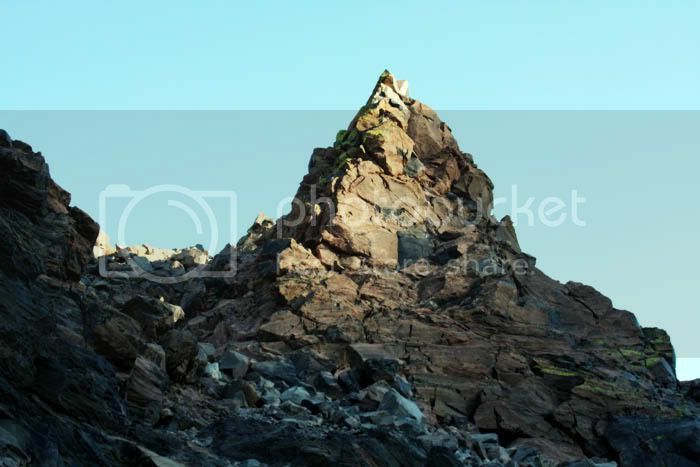 We had never seen an obsidian mountain before; I climbed it until the sharpness of the rocks started to worry me. Obsidian scalpels have been used for surgery since the edge is sharp to a molecule's thinness! We were surprised to learn that obsidian and pumice have the same composition; the difference between them is that the pumice cooled quickly enough to trap bubbles of gas. We found rocks that were half pumice and half obsidian. Very cool. 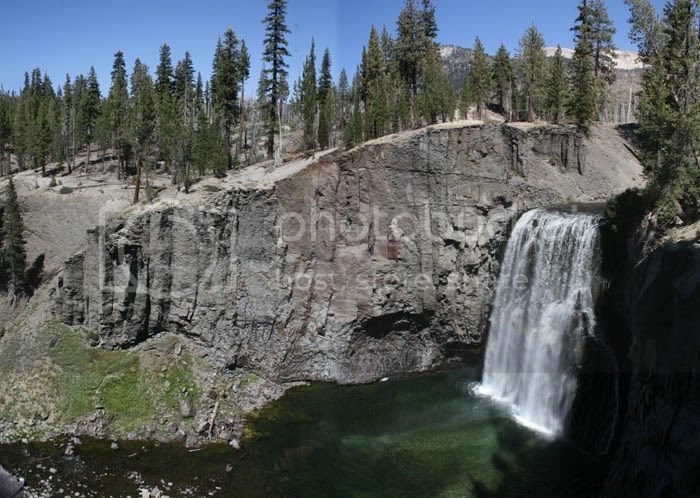 We also visited Rainbow Falls at Mammoth Lakes. There was definitely a rainbow in the falls, although it doesn't show up in this photo.